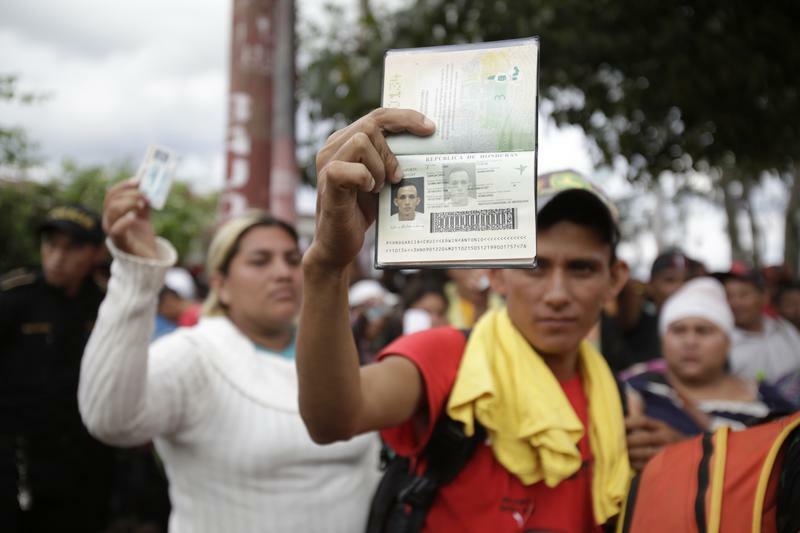 Honduran migrant Edwin Antonio Garcia Cruz holds up his passport and the woman behind him holds up her national ID as Guatemalan police block them, Oct 15, 2018. BOB GARFIELD: As thousands of people head for the US border from Central America seeking refuge, they face a thousand mile gauntlet of hazards and the risk of getting stuck every step of the way. And the ability to proceed generally comes down to a matter of paperwork. Honduran passports, Guatemalan permission slips granting entry. Your papers, please. Our state issued paperwork is how we assert who we are and our rights to be where we are. A sort of guarantee from one government to another that the bearer is vouched for. JOHN TORPEY: If you look at the document that many of us have, it'll say the secretary of state of the United States request that you provide this person facilitation and assistance. Let them in and let them move without hindrance in your domains. BOB GARFIELD: That, says CUNY Graduate Center professor John Torpey, is what's known as the facilitative function of passports. But we more commonly think of their restrictive function. How they say where you can go and where you can't. According to Torpey, this restrictive function has its roots in serfdom and slavery. JOHN TORPEY: A slave, for example, in the United States before 1865 would have had to have a pass in order to go abroad. Otherwise, he would be regarded as a potential runaway slave and captured and returned to his or her owner. We experienced in the 19th century a kind of transformation because those forms of labor control were more or less eliminated. So there was a so-called exit revolution and people were increasingly allowed to move around and that helped to facilitate a huge migration to the Americas not just to the United States but also to Latin America and particularly to Argentina. BOB GARFIELD: So at the heart of it, I was kind of surprised to learn, is economic security, labor security. But I was also kind of surprised to realize that the restriction on external travel by states is a relatively new development. Ben Franklin didn't need a passport to be the toast of Paris. He just showed up. What changed in the 19th century to make government-issued documents necessary. JOHN TORPEY: This exit revolution took place and the idea of nationalism increasingly took hold. The idea was that states were the peculiar possession of particular groups of people called nations. The idea is that a certain group of people has a right to control the state. And often that was construed in ethnic terms. And so increasingly there was a kind of concern about whether these other people over here should be allowed to come into our domains. And that became a stronger concern as ordinary people were given the vote as more and more people have access to the ballot box. It matters, kind of, who they are and whether they are people that we can count on, are they people who might bear us ill will. So increasingly the concern outside of wartime became, you know, who gets in. Whereas, till say the mid-19th century, it had primarily been a question of who got out. BOB GARFIELD: –from Myanmar to the United Arab Emirates to Palestine. But it isn't new. Tell me about not just statelessness but passport lessness. JOHN TORPEY: Often these kinds of problems arise when there's major political upheaval. So World War I is a key moment in the sense that there is the collapse of these European land empires. The Russian Empire under the pressure of the Bolshevik Revolution, the Ottoman Empire and the Austro-Hungarian empire. And all of a sudden, all these people are kind of set adrift and they don't necessarily have the documents that they now need in order to enter some other state. In those days there was the League of Nations that basically decided to give the authority to a man named Fridtjof Nansen, who was a Norwegian explorer and humanitarian. He was named to the League of Nations High Commissioner for Russian refugees. And because this was such a widespread problem, he was given the authority to issue a document in his own name–it was called The Nansen passport–so that people would have the kind of documents that they need. And subsequently, the UN has done the same kind of thing, issued papers to people who need them. It's clearly been recognized, especially since World War I, that statelessness is a condition of considerable vulnerability. And if you lack the documents you need corresponding to statelessness that makes your situation that much more difficult. BOB GARFIELD: It's been an issue in the United States at the US-Mexico border. JOHN TORPEY: The recent cases that were reported by The Washington Post have to do with people about whom there was some doubt that they were actually born in the United States and that there were falsifications of birth documents by midwives who were involved in the birth of those people. I mean the basic underlying issue is, are these people citizens? That is, were they really born on the territory of the United States, which, you know, in our law accords them citizenship. BOB GARFIELD: Whatever the circumstances were of falsification of papers by midwives or not. Suddenly these people have no access to a passport. They haven't got a Mexican passport and therefore, are they–even though they were most likely born within our borders–some sort of undefined to other. JOHN TORPEY: This is why in, a way I got interested in this whole phenomenon of passports. We're not born with citizenship stamped on our forehead. It can only really be made effective with these kinds of documents. So, if they can't get access to the documents they are indeed in a difficult legal limbo. I mean the United States has also, particularly, in the mid 20th century denied passports to people on political grounds. I mean it very frequently denied passports to people who were members of the Communist Party, thought to be connected to the Communist Party etc, etc. BOB GARFIELD: Now it's utterly unsurprising that the passport has become–a part from means of documentation and proof of origin and everything else–a commodity. It's a hot ticket for a variety of reasons including, as it turns out, countries themselves that want to deal with the population that they don't want to make full members of the society. JOHN TORPEY: Selling of citizenship is something that's been taking off. Certain countries in the Mediterranean and Cyprus and Malta and other countries, they're taking in people who are basically buying citizenship, who are making a contribution of some sort. MALE CORRESPONDENT: How much does it cost to get citizenship? MALE CORRESPONDENT: A hundred thousand dollars. MALE CORRESPONDENT: You have to come and live in Dominica? MALE CORRESPONDENT: No, no. You don't, you don't even have to come to Dominica to get the citizenship. You paid the money from wherever you are. MALE CORRESPONDENT: Sort of mail order citizenship? BOB GARFIELD: So as the passport becomes more of a commodity, whether by individuals seeking certain benefits or by countries trying to offload responsibilities, is the passport as a mechanism at risk of being muddied by the free market for place? FEMALE CORRESPONDENT: The disappearance of Flight 370 is shining a light on the business of passport theft. Don, good morning. [END CLIP]. JOHN TORPEY: –because some get you into lots of countries. The American passport, for example, will get you into lots of countries without a visa. And if you're from Nigeria or Senegal, your passport doesn't open as many visa-free doors. I think the market that we are talking about is really, in a way, a market for the underlying commodity which is citizenship. Citizenship has long been seen as a kind of sacred possession. It's about patriotism, it's about devotion to your country, it's about commitment to your fellow citizens. And the idea that you can simply buy one is seen, accordingly, as a kind of cheapening of that sacred possessions. BOB GARFIELD: John, thank you so much. BOB GARFIELD: John C. Torpey is director of the Ralph Bunche Institute for International Studies at the Graduate Center of the City University of New York and author of The Invention of the Passport: Surveillance Citizenship and the State. BOB GARFIELD: Coming up, Homeopathic politics– Battling attack ads with doses of the ads themselves. 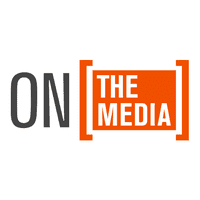 This is On the Media.